“How much does the tour cost?” The cost of the tour is £85 per person. This includes the cost of six whiskies (full measures), a bit of food and at least 6 hours of fun. A DryDramble price can be arranged for anyone in a group who does not drink. Just email or call us to discuss. “Can I purchase Gift Vouchers for a tour?” A Dramble Tour would make an excellent gift for a friend or loved one. You can purchase gift vouchers directly from us and we will send you a printable, personalised voucher via email. Just contact us by emailing info@dramble-tours.com or by phoning +44 (0) 141 342 5799. Vouchers will be valid for twelve months from the date of purchase. “How many whiskies will I taste?” We will be visiting six whisky bars in total and taste a different whisky in each. All whiskies are included in the price. “What happens if the weather is really bad?” Scotland is known for it’s unpredictable weather so it is advised that you bring suitable clothing in case it rains. 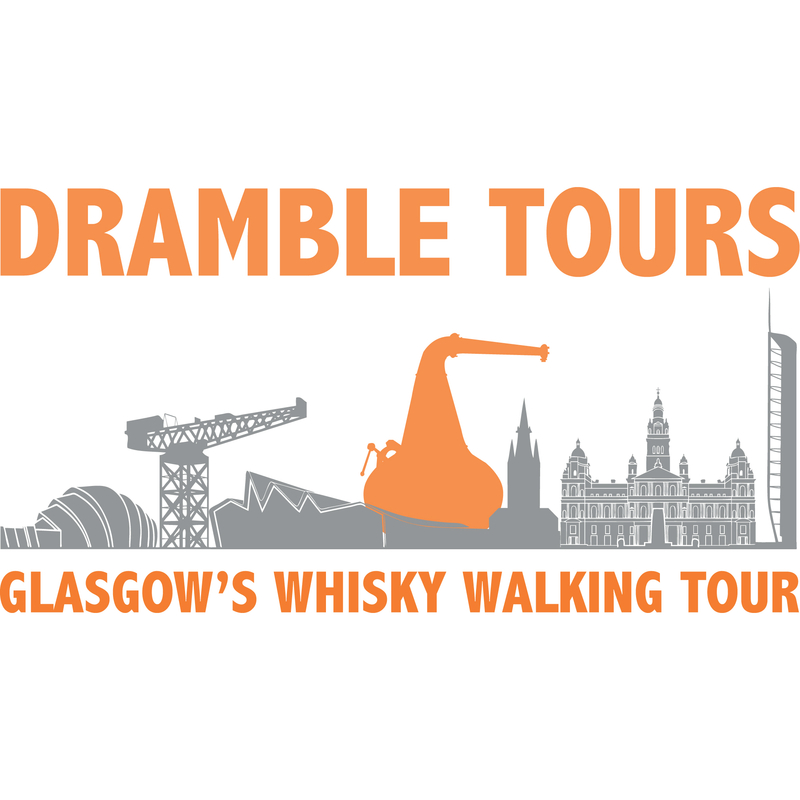 If the weather gets too uncomfortable then Dramble Tours will taxi you between the bars and more time will be dedicated to appreciating the whiskies. “Will food be provided?” A few snacks will be provided at one of the bars, but we recommend you have an early lunch or a big breakfast. The tour will finish close to many fine restaurants to suit all tastes and your guide will help you to decide on the best option should you want a dinner after the tour. “How long will the tour take?” The route of the tour is just over 3 miles, around 5 kilometers and we will stop at each of the six bars for around 20 minutes. On average this will take about 6 hours, but that all depends on the group and how fast we walk. Your tour guide will not be rushing you and will be happy to take as long as you like. “Where does the tour start?” We meet outside the St. George’s Tron Church on Buchanan Street and Nelson Mandela Place in the city centre. Your tour guide will be standing just to the side of the entrance to the church and will be displaying the Dramble Tours logo. It is close to Queens Street Train Station and right next to Buchanan Street SPT subway station. Don’t be afraid to ask someone for directions as Glaswegians are a friendly bunch and will be happy to help. “What if I’m running late?” We understand that sometimes running late is unavoidable. If you are running late then we ask that you contact us on the mobile phone number provided on the website contact page (+44 (0) 7984630436) and we will either wait for you or arrange for you to catch up with us on route. DRAM n. US 1/8 of a fluid ounce or 3.6ml. UK an informal measure which is determined by the generosity of the pourer.RAMBLE vb. 1. To walk freely in a leisurely stroll, as a member of a group for the purpose of relaxation. 2. To talk incoherently.DRAMBLE vb. The incredibly pleasurable experience of walking and talking whilst partaking in the liquid sunshine that is whisky.